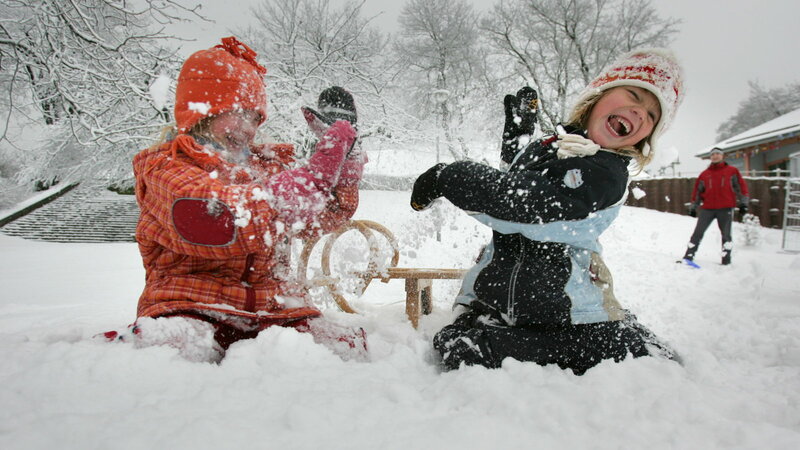 Picture this scenario: it's snowing outside and your kids can't think of what to do. As a parent, you probably remember what it was like to be a child who did not live in a technologically-driven age--the outdoors were your escape and helped fuel your imagination. And if you were lucky enough to live in an area that received snow, you know how captivating this gift from Mother Nature can be, and you even know there's plenty of potential when it comes to keeping idle minds active on a snowy day. Rather than have your kids cooped up in the house all day and filled with boredom, look at a snowy day as your perfect opportunity to spark your kids' creativity, whether the activities are indoors or outdoors. 1. 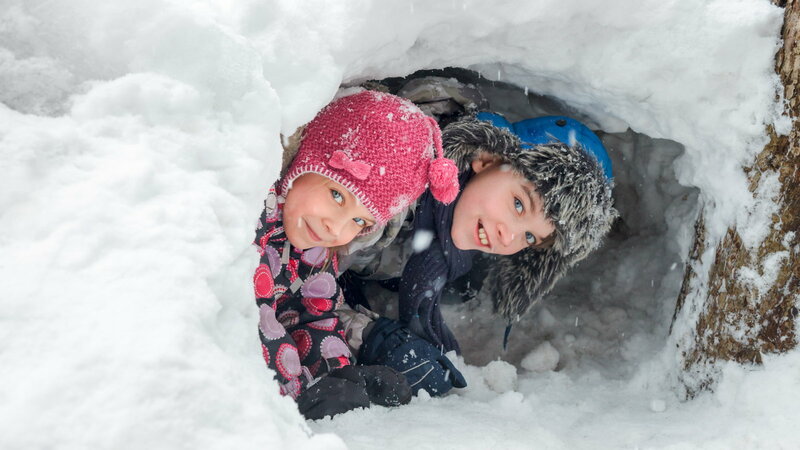 Build a Fort: Help your kids dig out a great fort they can hang out in. The key is to make bricks of compacted snow using a square-shaped container. Stack them in an arrangement and fill in the cracks with more compacted snow. Be sure not to place the square-shaped blocks all the way around-you want to leave an opening large enough for you and your children to enter. Once you've built the fort to your desired height, which will probably be about four layers high, you will place light-weight wooden planks over the top to provide an enclosure. Ensure that the planks are placed horizontally and that they are long enough to stretch from one end to the other. When the planks are in place, put compacted snow over the top of them. Voila, you are done! 2. Wage a (Snowball) War: A friendly game of "snowball war" will burn off some extra energy and let your kids have a great time with a dodgeball-style game. Start by shaping snow into small balls-one for each member of the family-and placing them in the center of your playing field. Following this, or even beforehand, you will want to split your family in two: one side of the family goes to one side of the yard or open field, and the other to the opposite side. Make sure at least one family member acts as the referee. So, for example, there may be six players and one referee. If you will be playing this game in your yard, be sure you have distanced yourselves far enough away from houses and cars to prevent snowballs from coming into contact with windows or neighbors. Once these things are in order, you can begin your war. The referee will blow a whistle or make a sound to signal everyone into action; this means that when the sound occurs the members on each team should run toward the center to retrieve a snowball, then run back to the attack-line before throwing a ball at a member on the opposite team. Members who are hit with a snowball (always make sure balls are thrown below the shoulders and away from the face) are automatically out. Any members who remain unhit within the one-minute time limit, have a chance to play again, for another one-minute time frame. This will go on until only one member is still standing and untouched. 3. Go for a walk: The simplest thing you can do is go for a walk. Bundle up and head outside to explore the snow. Listen for sounds. Watch your breath in the air. Locate treasures to bring home. Make snow angels and footprints. Eat snowballs or take them home and make snow cones. Lay down and let the snow fall on your face. Sometimes it's the simple things that make the best memories. 4. Movie marathon: Most kids love watching TV anyway, so going with the flow may be exactly the right choice for some kids. It's okay to put your kids in front of the TV once in a while, as any parent will tell you, but don't stop there. Have the kids help make snacks, choose blankets and pillows to camp out on and take part in selecting movies. If you don't want to feel the day has been a total couch potato day, pick movies that teach an important ideal, concept, or lesson. Spend time talking about it afterward. 5. Themed crafting: If you don't want to take the kids outside in the cold, stay inside and celebrate the winter weather with crafts that let kids use their imaginations. Take a "trip" by having kids draw, paint, or color pictures from places they'd like to visit. Perhaps they are inspired by the snowy landscape right outside their front door. Another option is to mix up some simple sculpting dough and let your children shape whatever comes to mind. Or, you guys can bake snow-day-themed cookies together. These are all great ways to hang out and keep them away from the TV. 6. Gaming: Turn off the video games and try a different form of "gaming"-hide-and-seek, board games, card games, and paper football, for example. Family games are a great way to connect with your kids and pass the time. 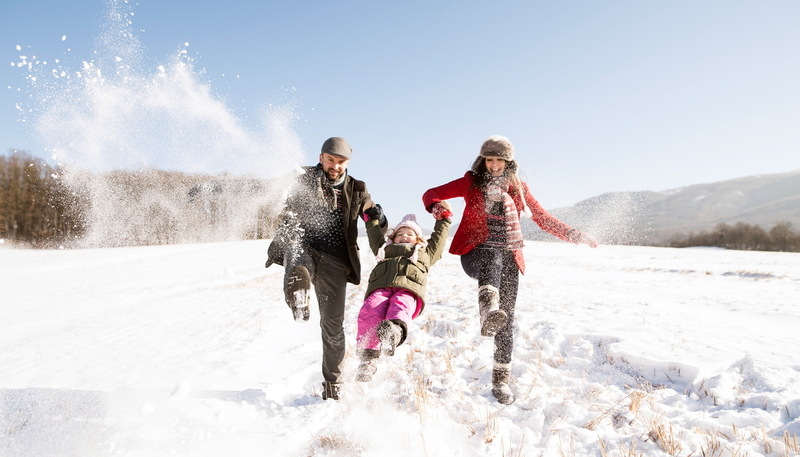 The biggest thing your kids will love about a snowy day is spending time with you. Remember what you liked doing as a kid on a snowy day? 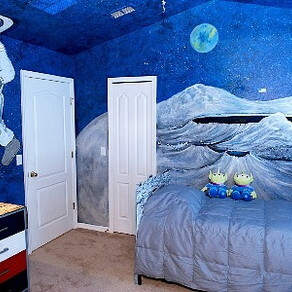 Chances are things haven't changed that much, and your kids will love them too.